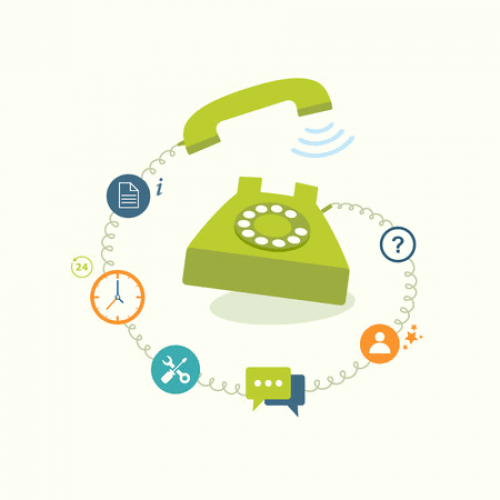 NOTE: Check out our article – The Changing Face of UK Home Phone Lines and Broadband Provision – for a bit more background. The BSG has also highlighted some of the Challenges in Moving to All-IP Networks. “This consultation phase is a crucial step in shaping the future of our entire industry. We welcome the opportunity to engage and indeed are positive around the long-term benefits that Ofcom are looking to tackle. We also welcome Ofcom’s acceptance that as we transition to an all-IP world, certain areas of regulation (Interconnection for example) may need a review to ensure the competitiveness of the UK telecoms sector is maintained. ITSPA welcome the concept of forming a central database of numbers. This has long been necessary to tackle some of the industry pains of the past decade, particularly nuisance calls and porting. We have been heavily involved in Ofcom’s recent blockchain proof of concept, which is being looked into as a possible solution for number management and number portability. Whilst this is a positive step, we were concerned by Ofcom’s position that they expect industry to lead in the wider development around the database concept. ITSPA remains of the belief that Ofcom must play some active role in its development. There have been too many industry false starts on number portability over the past 10 years for it not to require some Ofcom leadership. Updated the article to add a comment from the Internet Telephony Services Providers’ Association (ITSPA). I know if a call is from my village (and therefore I might answer it when busy) as opposed from a generic number which could be a tiresome cold call. But why does there need to be a “number”. VoIP systems such as Skype etc work of names etc. Do we really need to have a number? Phone numbers will need to change. Multiple areas around Britain have had a 2nd dialing code introduced. 04 & 06 are not in use these could be introduced for VoIP numbers maybe & be shorter than the average landline numbers with 5 didgets in the dialing code & 6 in the users personal number. It was great when ofcom introduced non geographical 03 for businesses. I think we will see less geographical numbers in the decades to come. Number porting is a huge problem across industry, challenge here is who pays for the change? You have large and small companies involved in VOIP (SIP), it’s not like when the MAC key was introduced for ADSL migrations as OR own the network. A decision does need to be made, sooner the better really but the OFCOM working group has been going on for years without any major changes. Yes it’s made procedural changes, but until it’s a central place the process will continue to fail as it often does now. Future is a long time, suspect copper will still be around for a few decades yet, nearest cabinet to me 2km, main problem as with fastershire months of trying to get permission over private property.see it being no problems in urban areas though. Businesses and others using andlines will find the requirement to dial the area code for local calls irksome as it will increase the risk of dialling wrong numbers. So in areas running out of numbers why not revive the practice of introducing short area codes with eight digit local numbers? The argument that people don’t like changing numbers is phony (pardon the pun) as number translation could continue indefinitely for existing numbers using the old area code. Local callers from landlines would be prefer to be able to dial eight digits rather then eleven. Sorry typo “landlines” rather than “andlines”! It seems like a lot of effort for a market that’s dying. Landline calls have halved in seven years. Most new households that form don’t use or take a landline service. We dial the full number to and from mobiles. Not a problem. 125us: If landlines are dying why are some area codes becoming full? The inability of well over 50% of the nation to understand that the London area code is 020, not 020,means that most everyone in London dials the full number anyway. It mattered in the days of rotary dials, but today???? MikeP: The problem is not so much having to dial the area code, but WHICH area code. In Norwich we have six-digit local numbers, easy to remember and write down without error. Not a problem having to dial 01603 first, but it WOULD be a problem if I have to accurately record all ten digits following the leading zero. Ofcom are threatening to introduce full eleven-digit dialling here despite the fact that a new code will soon be necessary anyway owing to urban expansion. You are right about London. When I lived there my number started off as 01 658xxxx, then 081 658xxxx, 0181 658xxxx, finally 020 8658xxxx and there was confusion as BT and Oftel didn’t make it clear for how long parallel running would continue, not knowing the area code from the local part of the number. I think because of this Ofcom decided to abandon the move towards wide area codes and eight digit local numbers, but I think that was the wrong decision. If a change is necessary, then it is much easier to cope with prepending existing local number with two extra digits, e.g. 21xxxxxx, then new numbers 22xxxxxx, than it is with a patternless jumble of digits as is the case with mobiles. How do you cope with writing mobile numbers? Some places have full number dialling now. TheFacts: In geographical areas where the whle number has to be dialled, at at least the area code is the same so you don’t need to jot that bit down. Mobile numbers are different because only the first two digits are always the same. Landlines are here to stay, at least for businesses, so I see no point in mandating full number dialling (eleven digits) when local dialling (between five and eight digits) is convenient and works perfectly well. So you are OK with 6 digits but struggle with 10 when someone gives you a number outside Norwich? TheFacts: Why stop at abolishing area codes within countries, why continue with country codes? Just allocate numbers randomly all over the world. If you get one digit wrong, wake up some complete stranger on the other side of the world and get a huge phone bill, that’s not a problem then? BTW local dialling is not the only advantage of landlines. Call quality is usually far superior than on mobiles, which often break up and drop out. A 4G to 4G can be better quality than a cordless phone on a landline. If you can get it. That’s the problem with phone numbers.